Is Chocolate Good or Bad For You? One of life's essential questions, at least for me. I loooove chocolate, although I didn't start out that way. In fact, as a child, even the smell of chocolate made me nauseous. My mother took our family to Hershey Park, which would be most kids' version of heaven. Me? I stayed in the car with the windows closed, lying in the backseat, willing the smell to go away. Then I turned 18, my body flipped a mystery switch, and I started to love the stuff, the richer the better. 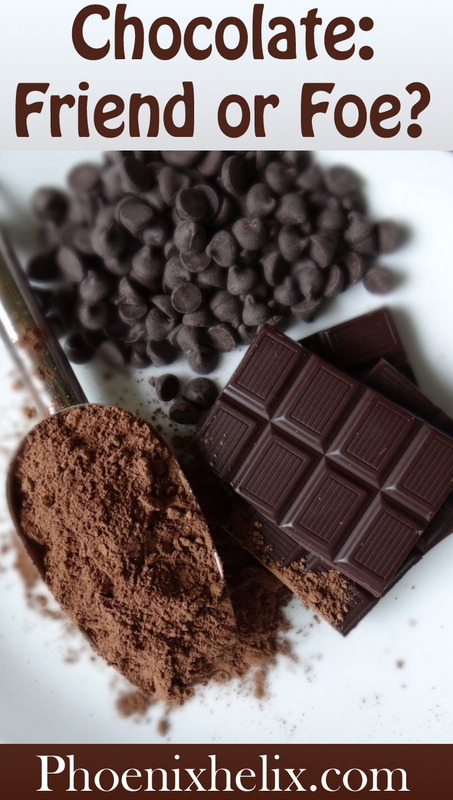 In the healing diet movement, chocolate's a mild controversy. Elaine Gottshcall, author of the SCD diet, says it's a no-no. But Dr. Natasha Campbell-McBride, author of the GAPS diet, says that as long as it's the real thing, most people tolerate it very well. In the Paleo/Primal movement, dark chocolate is accepted as a healthy indulgence. 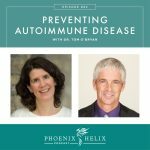 On the Autoimmune Protocol however, Dr. Sarah Ballantyne eliminates it. So, I decided to delve into this ingredient a little further and clarify its pros, cons, and where it fits on a healing diet. Hershey's Special Dark Chocolate Chips Ingredients: sugar, chocolate, cocoa butter, cocoa processed with alkali, milk fat, lactose (milk), soy lecithin, natural flavors, and milk. Analysis: The first ingredient is sugar, which means it contains more sugar than any other ingredient. It also contains two kinds of milk, emulsifiers, and flavors. This is not real chocolate. Endangered Species Dark Chocolate Bar Ingredients: bittersweet chocolate, chocolate liquor, cane sugar, soy lecithin, vanilla. Analysis: All those organic words look beautiful, don't they? Chocolate is the first ingredient, so that's good. Sugar is the second ingredient (not so good). And then there's soy lecithin, that ubiquitous ingredient that shows up in enough food to make a practical person start to consider conspiracy theories. What is it? It's the sludge left over after soybean oil is refined. Sounds yummy, doesn't it? I think it's safe to say that this isn't real chocolate either. Chocolate Liquor: cacao nibs ground into a thick, creamy paste. Cocoa Butter & Cocoa Powder: chocolate liquor is pressed further and separates 50/50 into these two components. Cocoa butter is a healthy saturated fat. Cocoa powder contains the natural chemicals that are being studied in relation to health (which I'll summarize later in this article). The Mayans were making chocolate over 1000 years ago, and guess what? They didn't eat it raw. They harvested the cacao seeds, fermented and dried them, roasted them, removed their shells, and ground them into paste. These are the same steps taken when making chocolate today, but machines are used for the roasting/hulling/grinding steps. The Mayans didn't do all this work for no reason. Traditional cultures knew how to prepare foods in a way that made them easier to digest and maximized their nutrition. Cacao, like all seeds, contains phytic acid and enzyme inhibitors that interfere with the digestion process and inhibit the absorption of nutrients. That's why it is recommended that seeds be soaked or fermented prior to consumption. This deactivates the enzyme inhibitors and lessens the phytic acid. So, the idea of raw chocolate is a modern trend, but get this: there's really no such thing. The cacao seeds aren't edible raw. They need to be fermented, dried and ground to be made into anything resembling chocolate, and all of those steps involve heat. While it's possible to keep the heat below 118 degrees (the maximum temperature for a food to be considered raw), it takes effort, time, money and special machinery. Since chocolate is a big-money industry that's manufactured in developing countries, without oversight, you've got to ask – how often is the effort made? In fact, Essential Living Foods, the largest supplier of raw cacao products, admitted in 2009 that it had unknowingly been selling roasted cocoa for years. But let's be optimists and say that it's possible, and some of the raw cacao products in the grocery store really are raw. There's a downside. Chocolate that is processed at low temperatures is at a higher risk for containing mold and pathogens. One study tested cacao at all the stages of cocoa processing and found 1132 different kinds of fungi in the drying and storage stages, but none after high-temperature roasting. I think it's safe to say there are healthier raw food choices than this. When it comes to cocoa, let's stick with the traditional roasted variety. Phytic Acid: We already talked about how the traditional fermentation and roasting of the cacao beans lowers this anti-nutrient. But there are a number of real food and paleo blogs that have posted a chart which lists cocoa powder (which has been fermented and roasted) as very high in phytic acid. How is that possible? The chart is sourced from this WAPF article. And if you read the article, the author says that he could find no studies verifying this number. I did a PubMed search and also could find no such confirmation. Even if it is true, the chart measures phytic acid content in 100 grams of cocoa, which equals 1 cup (or 16 tablespoons of cocoa). A serving size of dark chocolate is between 1-3 oz, and contains between 1-3 Tbsp. cocoa. With that in mind, the phytic acid isn't worrisome. Also, to play a little devil's advocate here, some people say phytic acid can actually be good for you. Lectins: These are proteins that exist in all plant and animal foods. They have become a buzzword in the healing community because they can stick to the intestinal lining and cause damage. However, there are different types of lectins, and only a select few are harmful. Here's a quote from the Paleo Mom: “The lectins that we avoid eating on a paleo diet are lectins such as gluten (and related lectins in other grains and legumes) that are known to survive cooking, be poorly digested, interact with the cells that line the gut, increase intestinal permeability and/or cross the intestinal barrier largely intact where they can stimulate the immune system. To date, there is no scientific evidence that the lectins in nuts and seeds cross an intact gut barrier or prime the immune system.” In addition, the fermentation process that cacao goes through makes its lectins easier to digest anyway. Autoimmunity: I scoured the PubMed scientific database again, trying to find one study that said cocoa could cause or exacerbate autoimmunity or leaky gut. I found none. 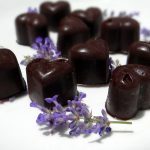 One rationale for cocoa's exclusion on the paleo autoimmune protocol is that chocolate has been considered a potential gluten cross-reactive food in the past. But if you read the next paragraph, you'll see that's not a concern with real chocolate. The other reason for its exclusion is that it's a seed, and seeds aren't allowed on the autoimmune protocol. However, the Paleo Mom writes that there is no scientific connection between nut/seed consumption and autoimmunity. Rather, they're on the protocol because they can be difficult to digest, and people with autoimmunity usually have digestive problems. 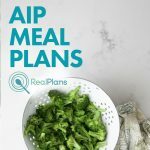 Therefore, if you're following the AIP, eliminate cocoa for a minimum of 30 days, and then reintroduce to see if it's a safe food for you to eat. During the 30-day elimination, if you're missing the taste of chocolate, carob is an AIP alternative. Gluten Cross-Reaction: If you're gluten intolerant, your body develops antibodies which react when you eat gluten. Sometimes, these antibodies can mis-identify other foods as gluten. This is called a cross-reaction, and your body responds as if you had eaten gluten. You may have seen lists on the internet of potential gluten cross-reactive foods, and chocolate is on the list. However, this list is based on a test from Cyrex Labs. If you look at the test, you'll see that milk chocolate (not pure cocoa) is the type of chocolate that can cross-react with gluten, due to the dairy it contains. A recent study confirmed this to be true. Cocoa is not a gluten cross-reactive food. Caffeine: One ounce of dark chocolate contains approximately the same amount of caffeine as a cup of green tea. Both are low in caffeine, compared to coffee, provided you consume in moderation. Headaches: Two double-blinded clinical studies have been conducted on headaches and chocolate. The first found that chocolate is rarely a cause of headaches. The other found no association at all between chocolate and headaches. Individuality: In summary, there is no scientific evidence that cocoa is harmful to health. In fact, there is a quite a bit of evidence that cocoa is beneficial to health (which I'll detail below). However, some individuals do react negatively to cocoa. Since we're all unique, that can happen with any food. If you know cocoa is harmful for you, avoid it. For everyone else, read on! Autoimmunity: Cocoa has been shown to have anti-inflammatory and immuno-regulatory properties, both of which could be very helpful to people with autoimmune disease. Improved Gut Health: Cocoa is a prebiotic, which means it feeds the beneficial bacteria in our digestive tract, benefiting our whole body. Cardiovascular: Cocoa has been shown to reduce blood pressure, restore impaired blood vessel function, improve circulation, and lower LDL cholesterol. 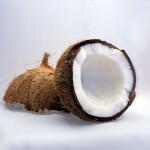 Skin: Cocoa has even been shown to protect the skin from UV damage. Research Bias: Most of the studies into chocolate's health benefits are funded by the chocolate industry itself, such as Mars, Inc. They also use a specially formulated chocolate that contains a higher flavanol content than normal chocolate. And when studies tested chocolate with lower flavanol levels, it didn't achieve the same results. 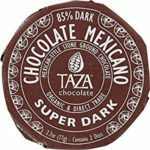 So, we need to keep a balanced view that although cocoa may have some health benefit, it remains more of an indulgence than the superfood the chocolate industry would like us to believe. 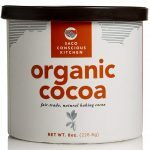 Choosing the right cocoa powder: So, we know that in order to receive any of the benefit shown in chocolate studies, our cocoa needs to have the most flavanols possible. There are two types of cocoa powders: natural and dutch processed. With dutch processing, the beans are soaked in an alkaline solution prior to grinding, which removes some of the bitterness and intensifies the chocolate flavor. However, one side effect of dutch processing is that it also lowers flavanol content by an average of 75%. 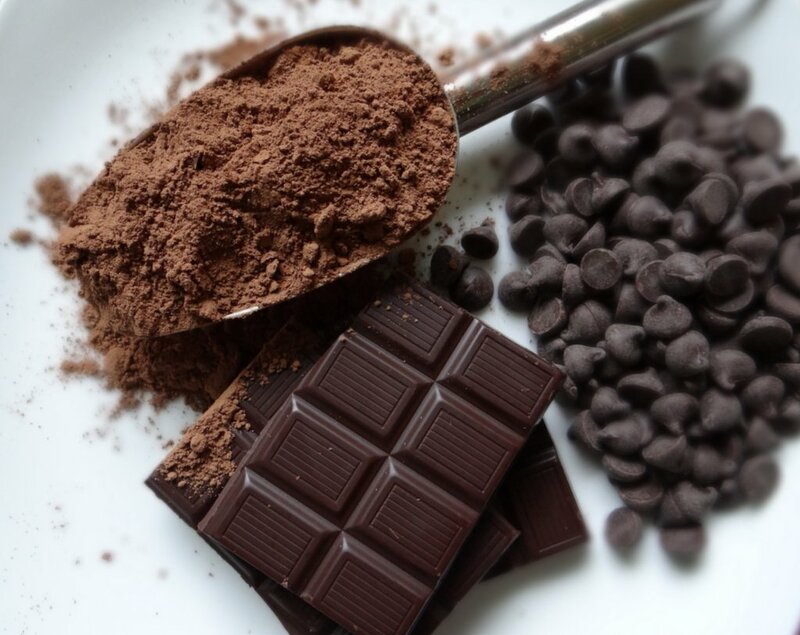 For the greatest health benefits, make your own dark chocolate at home with natural cocoa powder. When shopping at the store, look at the label. 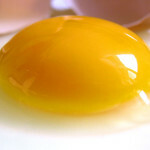 Avoid the ones that say “dutch processed” or “processed with alkali.” Online, SACO Conscious Kitchen is a good choice. Choosing the right chocolate bar: Choose dark chocolate over milk chocolate, the higher percent cocoa the better. And look at the ingredient lists. Avoid any that mention “cocoa processed with alkali”, soy lecithin or other additives. The following brands are high quality chocolate manufacturers, that source organic, fair-trade beans, include only pure ingredients, and make sure there is no gluten cross-contamination during processing: Taza Chocolate, Theo Chocolate, Alter Eco, Equal Exchange, Heavenly Organics, Pure 7, and Eating Evolved. Pascha is a quality fair-trade brand of chocolate chips. Healthy Hot Chocolate: Mix 1 cup of coconut milk with 1-2 tablespoons of natural cocoa powder and a dash of cinnamon. Heat on the stove until it starts to steam. Then remove from heat and add raw honey, to taste. For most of us, chocolate is associated with feelings of pleasure, so it can be shocking to realize that most chocolate sold in the world is harvested by children, many of whom are slaves. Usually, I don't push the issue of buying organic and fair trade items. I figure that's a personal choice, and everyone has their own budget to consider. However, when it comes to chocolate, I don't think there's wiggle room. This isn't a necessary staple of our diet; it's a treat. That's why the brands I recommended above are all organic and fair trade. 70% of the chocolate in the world is grown in West Africa where child labor and slavery is rampant. There is no interest in organic farming there, which is why that label ensures your cocoa was sourced elsewhere. The biggest chocolate brands in the world (Hershey, Mars, and Nestle) all source their chocolate from the beans harvested by children in West Africa. (And it should be noted that boutique brands are often owned by the larger companies. For example, Hershey owns Scharffen Berger.) So, check your labels, and look for the organic and/or fair trade logos. Make sure it's the real thing (no additives). Source it from naturally processed beans (as opposed to dutch processed). Go for dark chocolate rather than milk chocolate. Choose organic or fair trade brands. Eat it in moderation (savoring every bite). If you are following the paleo autoimmune protocol, eliminate it for 30 days, and reintroduce to see if it's a good or bad food for you.